Whether you buy specialist e-reader devices like Amazon’s Kindle or just choose to enjoy smartphones and tablets to satiate your reading voracity, considering Ebook reader apps still add practical value and convenience. There are Apple’s Books and Google Play Books are already there dominating as digital ebook reading apps, but why not opting for dedicated reading apps that offer a slew of incredible features? 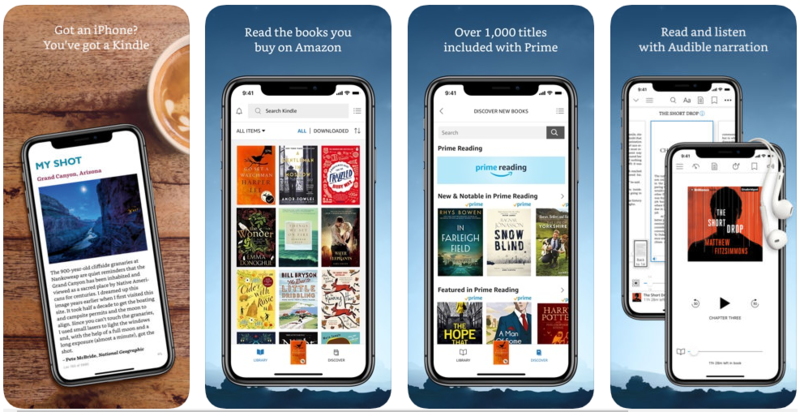 The best eBook reader apps of 2019 that we are going to highlight enhance your reading experience, adding a lot of ease and perfection by means of extremely configurable settings, customization, support for a range of formats and unlimited subscriptions. Some of them even do the unimaginable for reader, offering all-in-one marketplace platform and audio books. Amazon’s Kindle is the most popular multi-platform e-book reader app with a robust marketplace, library and modern reading management system. From contemporary bestsellers to old classics, Kindle store comprises of over one million titles. 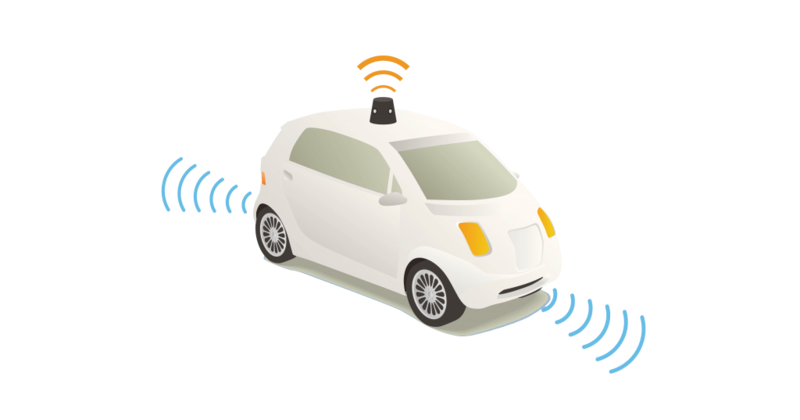 It allows users immense flexibility and power to customize the display to their needs. It lets you change font size, background color, brightness, highlight text and other settings. What is fascinating is that Kindle syncs your last read page, highlights and notes, and bookmarks between devices and platforms (Android and iOS). Users can easily find and reach pages in any book with merely a couple of taps on the screen. 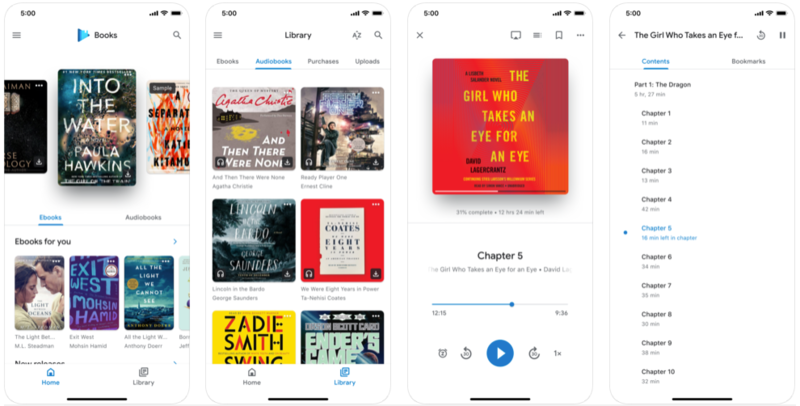 The latest feature Kindle Unlimited program takes a small monthly fee to let users access thousands of audiobooks and ebooks. Presenting you with thousands of books, fiction and comics, magazines, audiobooks and more content, Google Play Books allows readers to dive in the pleasure of reading their favorite books on their devices. It works even on iPad if Google ecosystem is not favoring for some reason. The Ebook reader app also syncs across all your devices provided you are using Google account. Its design embodies user-focused simplicity and offers ease of navigation. The app enables all the reader-friendly options expected in a typical ebook reader app such as font changes, text highlights, annotations. People who rely on both Android phone and iPad can find it perfect to switch. Earlier designed for iPhone users, Serial Box is now available for Android devices. The Serial Box approach is unique, though. As if to offer compatibility with reader’s routine schedule or live journey, Serial Box doesn’t force them to pay for a complete audiobook. 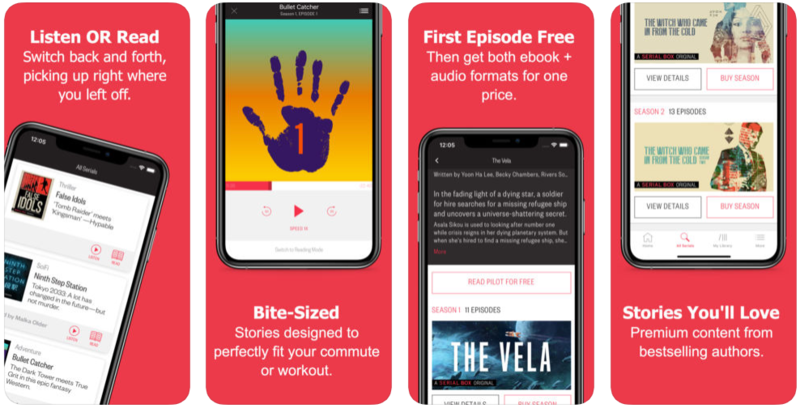 Instead, the app has convenience of letting you get short, episodic content from novels in small chunks – which appears to be perfect when you commute or are on a break. Serial box houses quality and variety in books ranging from drama and fantasy to sci-fi. Its paid episodes include both text and audio version. Users can also avail discounts on a full story like “Bookburners” and “Tremontaine. For true digital book lovers, Serial Box has configurable reader and audiobook player mode. Scribd is legitimately for those who seek unlimited content subscription service at some fixed cost every month. For this reason, perhaps, Scribd is dubbed “Netflix for books”. Scribd seems to emanate from ‘Subscribed’ and lets you access an extensive library of books, magazines, audiobooks, newspapers and even more for a monthly subscription charges depending on your chosen tier. With all the functionality and features (highlights, annotation, bookmarks) included in this ebook reader app, Scribd makes for a clean, organized, customizable and easy to navigate app. OverDrive champions the idea of bringing the digital media lending system often experienced in some public libraries with no extra cost right to your iPad. The Overdrive Ebook reader app allows you to borrow audiobooks, Ebooks and other digital content from the collections of associated libraries so that you can read without actually leaving the residence and stepping into the local library. 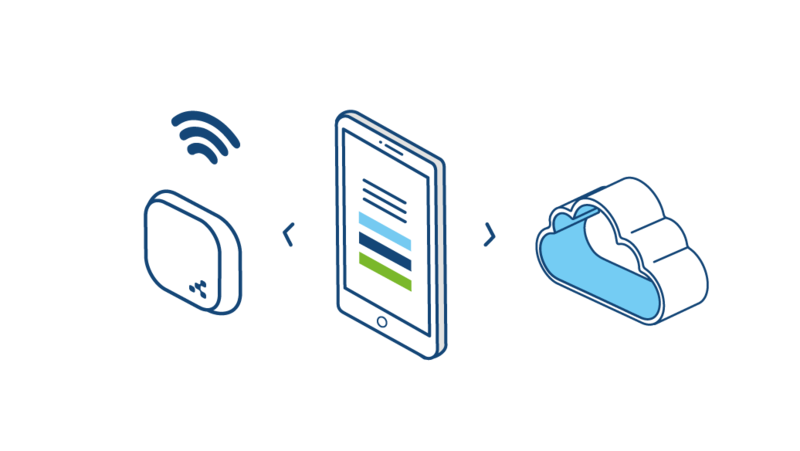 With Overdrive you have access to book collections 24/7, facility to create wish lists and automatic return feature. Bluefire Reader is a unique Ebook app that is able to access your Adobe DRM content. The Ebook reader app can also access your EPUB and PDF files which means users can transfer files from other online or offline places and organize them conveniently in one place. Like many other quintessential Ebook reader apps, Bluefire, too, gives users access to features like bookmark, highlight text, annotations. To allow users to control their reading style,there is also a night mode for iOS devices. Minimalist and clean, Bluefire is perfect for those who don’t wish to interact with fancy frills. 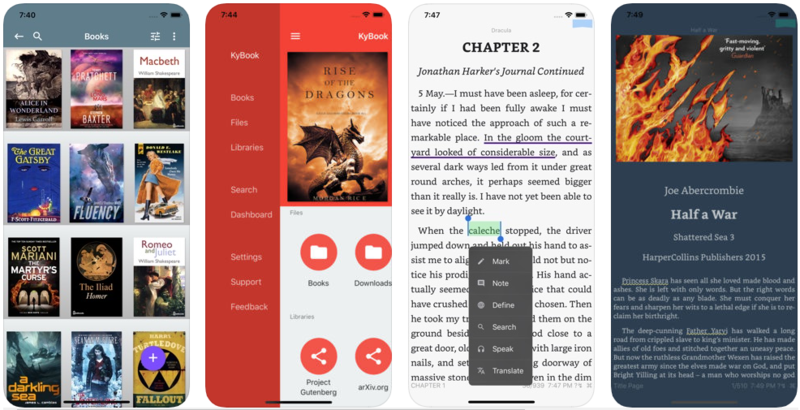 KyBook 2 is a great eBook reader app with all-in-one support for many DRM-free formats such as RTF, ePub, DJVU, CBR and CBZ. KyBook offers various genres including poetry, prose, comicbooks, RPG rules, etc. You can configure reading fonts and also use your own font files. 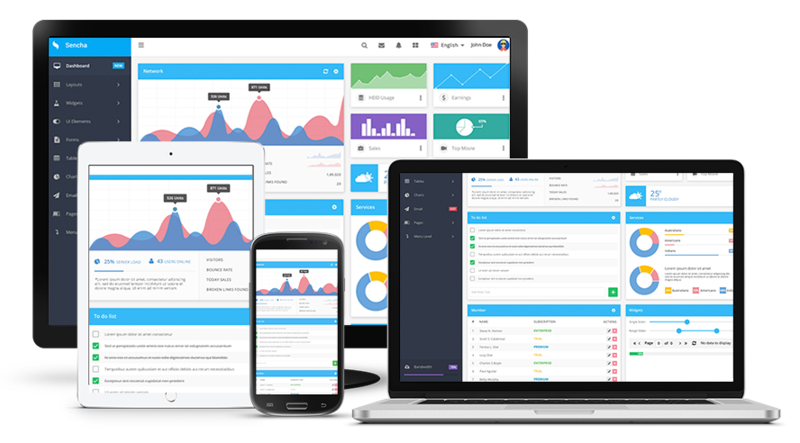 Additionally, you are free to customize themes and layout, line spacing and margins. To access and read ebooks, readers can import files through iTunes store or go to their cloud services like Dropbox, Google Drive, iCloud and Yandex Disk.KyBook also supports OPDS catalogs to let readers access numerous free and public domain online content. Renowned as a digital comic marketplace app, Comixology provides comics fans a fascinating platform hosting content from major comics publishers around the globe. It features Marvel, DC and Image and more, and readers can even purchase and read stories on ComiXology website. Available for both Android and iOS, its mobile Ebook reader app becomes a handy mobile comic reader. The app allows readers to download, purchase and read on ComiXology. Its unique, notable Guided View mode enables small screen reading. It has a new Unlimited mode that, as the name suggests, offers read-all-you-can subscription. However, users can’t make in-app purchases on or import in existing collections on iOS. Moon+ Reader is another spruce and nifty Android e-book reader app whose differentiating factor is its highly customizable interface. Hence, even if it does not stand as having a dedicated marketplace, the app’s UI makes it an outstanding consideration among other niche champions. Despite not being a marketplace, readers will still have freedom to set font styles, backgrounds, multiple view mode, spacing, paging modes, autoscroll, etc. The app has both free and a pro version that enables ad-free reading experience and also offers PDF support along with other incredible features. So if you already own a large e-book collection and need an Android app to read them with, Moon+ Reader becomes your smart solution. 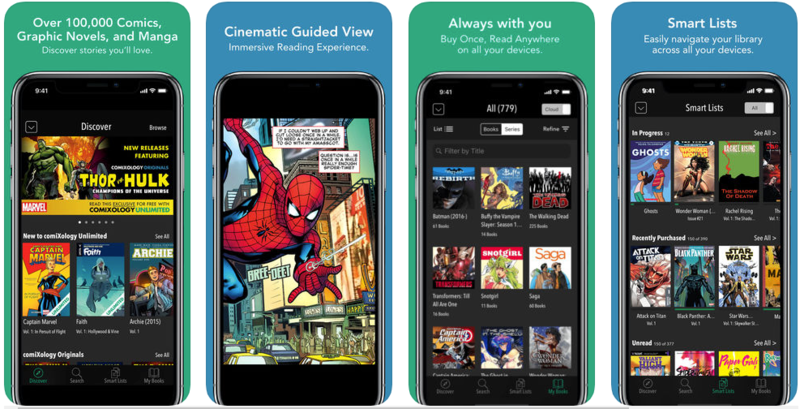 ComiCat is another premium Android comic book reader for DRM-free comic reading. Charging you less than single comic issue cost, ComiCat gifts you tons of features and customization options. To find comics in supportable formats, the app auto-scans your mobile local storage or selected folders and then automatically organize them into a nice bookshelf view in series. You can then reorganize them and start reading. To ensure uninterrupted reading, its reader view has organic, engaging and unobtrusive interface with cool options and easy settings. The app supports functionalities like cloud storage, password protection, image enhancements (contrast, brightness, saturation, etc) and manga-style displays. We can’t finish the list of best Ebook reader apps 2019 without inclusion of Marvin. This feature-rich iOS reader app is highly configurable and supports DRM-free EPUB files. From font changes, night mode down to customizable themes, text highlights and annotation, there is a lot Marvin has for every avid digital reader in the world. Modern and innovative, the app also houses specialty fonts for dyslexic readers as well as awesome dictionary tools. The features list still continues as Marvin offers text format tweaks like paragraph indentation, text justification and spacing. Its organizing tools have glorious collection sorting feature, list and cover views and more. However, Marvin has just a small con – its inability to offer support for any other files except EPUB. Reading Paper books sounds like a delightful, even fulfilling idea, but just compare that experience with the kind of feeling eBooks develop in avid readers on the go. As the world turns and grows more dynamic, you need comprehensive reading solutions like eBook reader apps that accompany you and enable hassle-free reading even when you are traveling or sitting on couch at home. The large enough screen and the right app along with generous genre of books and magazines are all you need to drown in engaging reading time. Consider the list above as you think of downloading Ebook reader apps in 2019. With rapid evolution in mobile technology, mobile banking has jumped quickly from being a hot trend to a decent necessity of modern times. With increased number of millennials in UK expecting to access banking services through mobile banking apps, mobile app development is set on the rise. As the digital interactions with banks are rapidly transforming the way we bank, the need for physically meeting banks professionals and reps are surprisingly eliminated. However, choosing the best mobile banking app to conduct banking operations is tedious job. 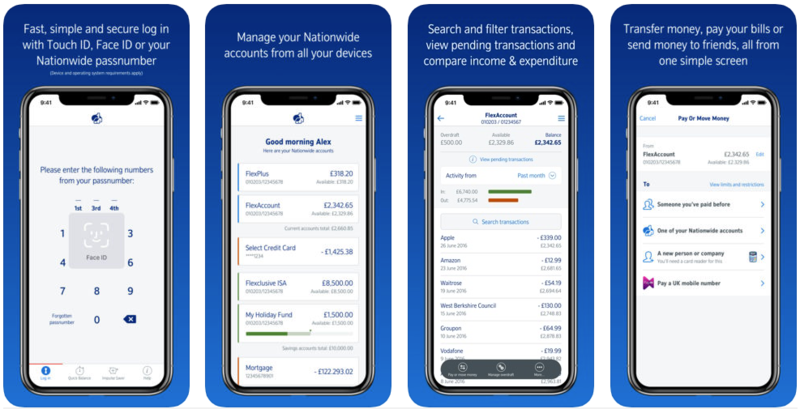 To help you down the road, the blog here brings up the top 10 best mobile banking apps in UK that are picked based on the range of functions and the level of service satisfaction they offer. Consider the following list of mobile banking apps UK. Barclays Mobile Banking App holds the reputation as one of the most sought-after banking services with over 5 million installs. Available for both iOS and Android devices, the Barclays mobile app is graced with 4.6 stars rating by its users. It offers a few impressively stunning features along with fundamentally essential banking tools to help account holders carry out their everyday banking operations. The users who own rooted devices will not be able to interact with Barclays app since the app doesn’t support rooted devices. 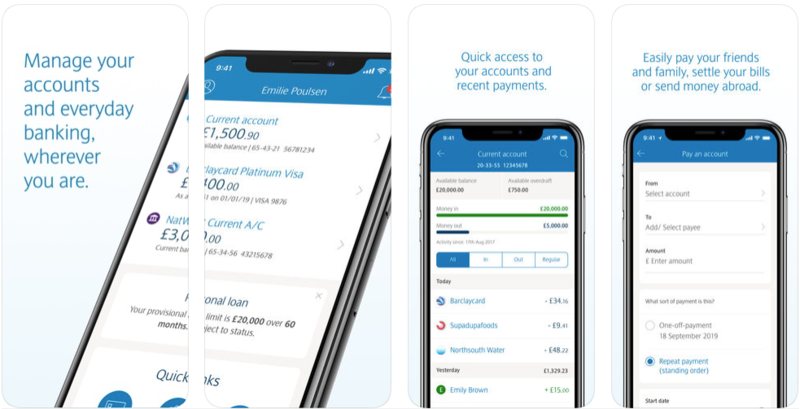 Like many other mobile banking apps, Barclays app also allows users to check their current balance, access account details, send or receive money and earn rewards. NatWest Mobile banking app prides itself on being an award-winning app for two years. British Banking awards has entitled the NatWest banking app as ‘Best Banking App’ in 2017 and 2018 which is a rare honor. Users have also appreciated the app’s intuitive banking services, giving the app a million downloads and 4+ ratings in the app stores. It is available for both iOS and Android and delivers utmost simplicity of use and security coupled with incredible features. It helps users stay on top of the banking activities by letting them manage their account, check their existing balance and conduct transactions. Lloyd mobile banking app is also quite special as Forrester rated it as a top Mobile Banking service in 2017. Having been honored as a Mobile Banking Benchmark, Lloyd Bank Mobile Banking app has earned a million downloads and 4+ average ratings in the app stores. This also works on both Android and iOS. What makes it compelling is its ease of use, fast response and phenomenal security and safety of user details ensured with built-in security technology. The app is regarded best for its usability and effortless functionality mixed with best customer experience. 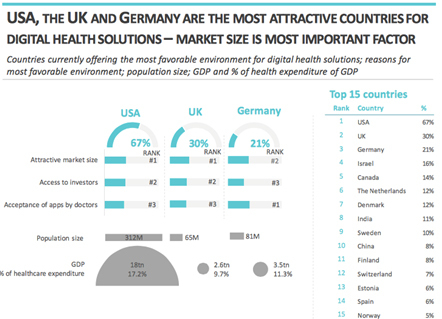 With 4.4 average rating in the app store and more than a million downloads, The Halifax stands tall among mobile banking appsin UK and deserves a spot on the list. Its unique features, simple and intuitive design and user-friendly attributes add true value for bank customers. Available for Android and iOS platforms, the Halifax banking app boasts its cheque deposit, a feature that sets it apart from closet contenders. Again, this app also allows you to perform all the basic functions of mobile banking. Like other apps, the Halifax Mobile banking app does not work on rooted or jail broken devices. Its main features and functions can be summed as. The list of best mobile banking apps in UK is incomplete without respectable inclusion of Santander Banking app. The app has registers a million downloads and has received ratings of 4.1 on the app store. It can be downloaded for free from the Apple App Store and Google Play store. 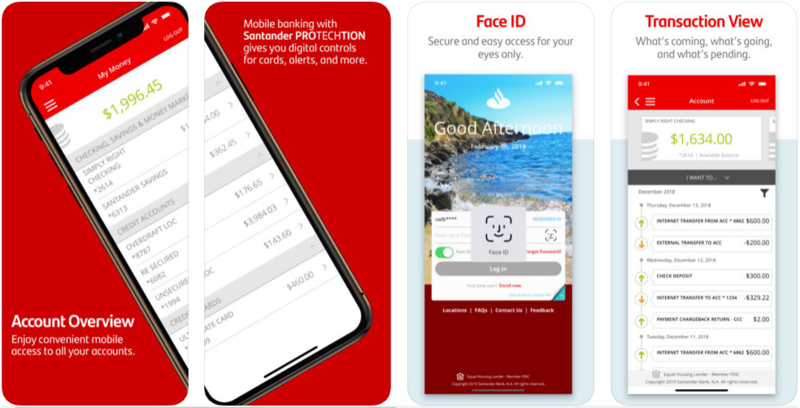 Santander Banking App is impressively optimized for making money management a breeze for customers. Its ‘bill splitting’ tool adds tremendous glory to the original app. The support for multiple accounts, smart finance tracking and other gems make Santander Mobile banking app worthy of our attention. Royal Bank of Scotland mobile banking app is designed to make banking a fast and secure experience for users. Loaded with handy set of features, the app enables convenient banking with a built-in security technology keeping your account details safe. It also offers outstanding features like money transfer between accounts, making payments and fingerprint login. The best among all is its ability to even let visually impaired people access the same app as used by normal-sighted people. 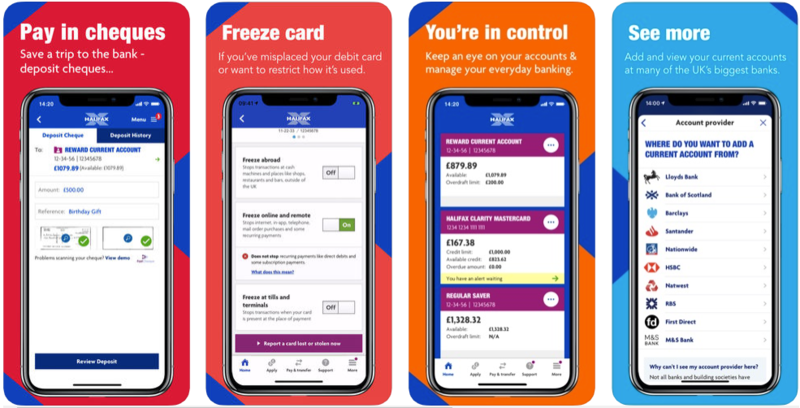 The Royal Bank of Scotland app basks in positive reputation that emerges from the leading 4.5 ratings in the app store and registers a million downloads. The fact that HSBC Banking app has received over 5 million downloads aptly compensates for its slightly unimpressive rating on the app store. Undoubtedly, the bank has ample customer base and offers all the basic banking functions in the mobile app. Just as other mobile banking apps do, this one also allows customers to access their account details and perform transactions smoothly. To be eligible for using the app, customers should register for Personal Internet Banking. Registered users are free to avail all the functionalities on its online banking platform. Nationwide Banking app is another reliable resort for all your basic and intermediate banking needs. 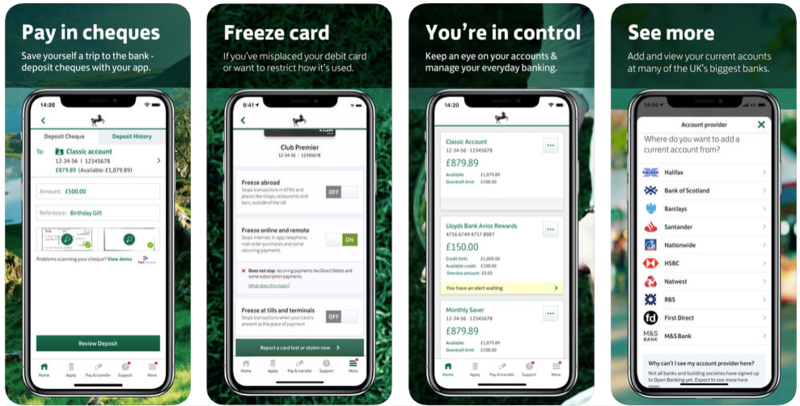 Along with basic utility, the app is also much improved with fresh updates, now allowing customers to access account details and manage multiple accounts. The number of downloads has hit over one million with average rating of 3.9 in the app store. Notably enough, Nationwide Bank has two mobile banking apps, one for banking and another for insurance policies management that also enables bills payment, rate quotes updates and local agent location. Both are available for iOS and Android. 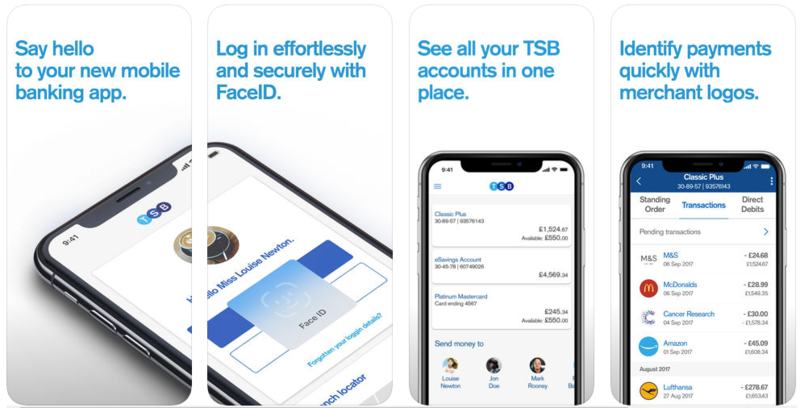 TSB app is built with easy-to-use features and user-friendly interface, creating a sophisticated appeal for bank customers. Available for both iOS and Android platforms, it has received 500, 000 downloads already in the Play Store. TSB app is still improving with fine updates from its developers in its early stage. The frequent updates are released to improve existing features. TSB app will not work on rooted devices. Freely available on both Android and iOS, Monzo is the only bank with exclusively digital, mobile-only banking solutionin the United Kingdom. Quite unique among peer mobile banking apps for this streak, the app received more than 100,000 downloads and ratings of 4.2 on the app store. 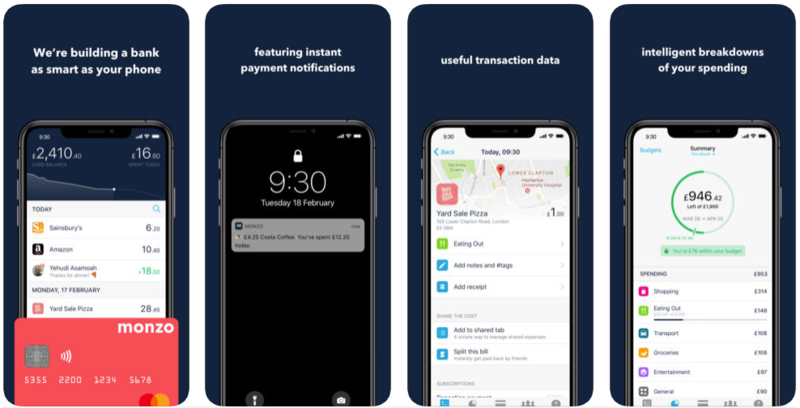 Monzo Bank users are allowed to open a current account and can officially own a sort code, account number and aMonzo debit card. Customers can use their Monzo card to pay anywhere in the world as long as they accept Mastercard. Bank transfer is made easy with standing orders and direct debits. Upon making a payment, you receive instant notification. If you lose Monzo card, you can easily freeze it. The bank also allows for a salary account. The list above describes 10 best mobile banking apps used widely all over UK. Essential and handy, they all assist account holders in controlling and managing their finance efficiently while also monitoring their transactions precisely. 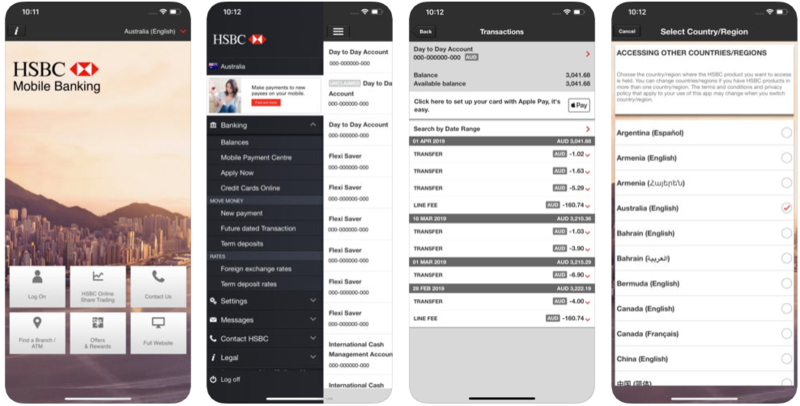 From viewing account balance and latest statements to making payments and transfers, each mobile banking app has unique potential for offering quality and functionality. You are free to install the one that suits your personal financial requirements. Anyone who has ever shopped at Walmart knows how big the stores are and the deals they offer on every item. Shoppers are guaranteed good deals and savings at Walmart. Consider this – Walmart has more than 7 million items for sale. Like every retailer, Walmart is trying to make it easier for its employees and customers to find what they need in a quick and convenient manner. Therefore, to take the shopping experience to the next level, what new additions did the retailer make that has the market abuzz? Read Also: How to Create An App Like Amazon? Walmart introduced these features upon customer requests with an intent to offering a “personal assistant” who makes finding items and deals super easy. App use hasn’t been made available in every store and is expected to happen soon. The introduction of such capabilities makes Walmart the “go-to” store. Even Walmart is investing a lot of money so that it can transform its business model and remain competitive. The company’s emphasis is on streamlining the entire shopping process, especially since customers can buy everything under one roof. Even a company like Walmart is trying to incorporate changes in the marketplace to enhance customer experiences by introducing new features periodically. Retail mobile apps play a critical role in bridging the gap between physical and digital commerce. Not only do they facilitate convenient and fast buying, mobile apps are also fast transforming into vital platforms for interaction between retailers and customers. 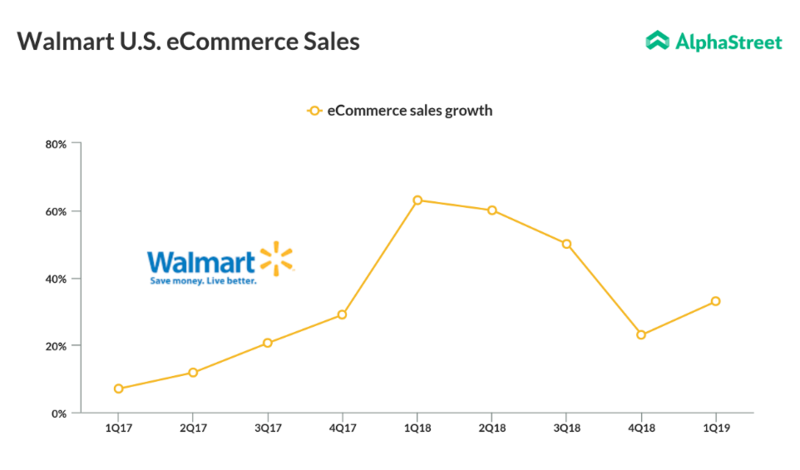 However, in spite of the slight dip in the trend, the market for Walmart’s e-commerce business is picking up in 2019 again. In fact, experts project a staggering 25.8% of Walmart’s entire business to be generated through e-commerce in the United States by 2022. 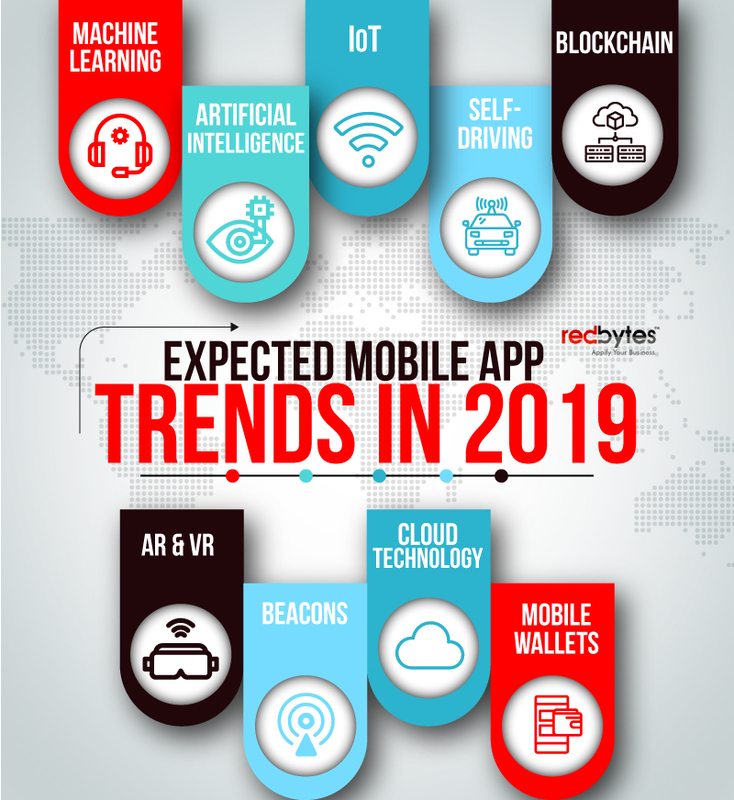 Considering that shopping with apps has touched 57% in 2018, it is absolutely evident that customers will continue to use this method even in the coming days. As a retailer, if you want to create an app which is as successful as Walmart’s, this is what you need to get done. This feature informs shoppers whether a specific item is available for purchase and how many are currently in stock. If a specific item is sold out, then the likely availability date should be mentioned along with a reminder to purchase when there is enough inventory in stock. This feature lets customers check the current selling price and do comparison shopping. This a key feature that is must have for any ecommerce app development. Including customer reviews have proven to be quite useful and motivates customer buying. Including recipes or new use ideas additionally boosts customer interest. If customers can look at similar products and their functions, they will definitely buy what they want. This will cut down on item returns and assist in streamlining the management of returned merchandise. With growing AR use and 3D modeling, companies which offer product previews and features stand a better chance of selling any product. This is especially true in the case of clothing and electronic items where customers like to take a closer look before making the final purchase decision. This feature works well if a customer is going shopping to a specific store. Use this effectively to promote sales with offers, deals on product combinations and loyalty programs as well. Include store maps so that these products can be located easily by the customer. Offering customers a choice of payment methods will boost app use. 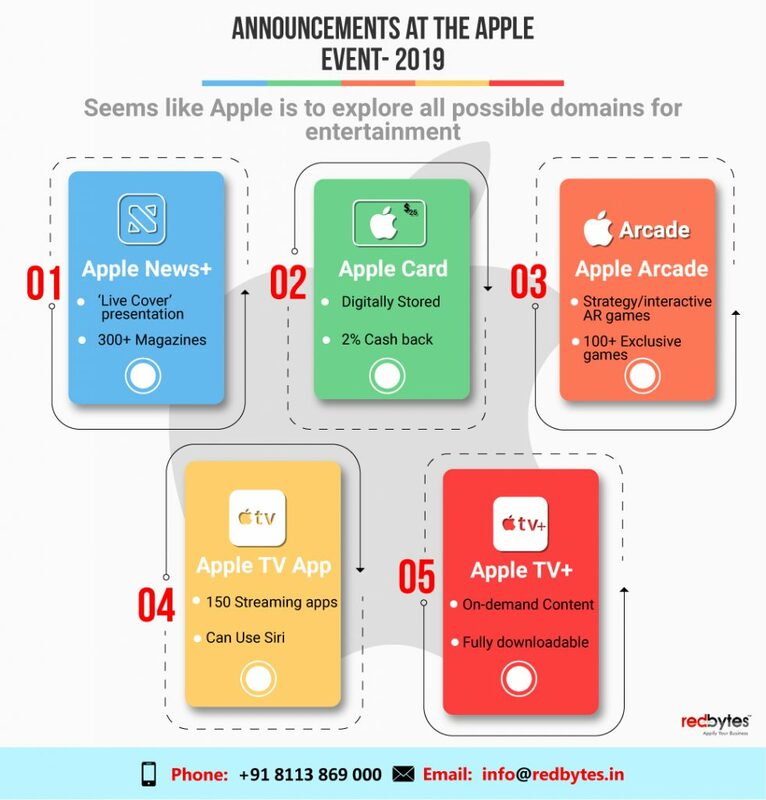 Whether it is Apple Pay, Braintree, PayPal, Google Pay or some method popular in a specific country, redirecting shoppers to specific pages for their convenience will ensure higher sales. This feature is now being used by many companies to get information on products and their prices. By using their phone to scan this code, customers can get other information like buying trends, reviews and discounts. This feature must be included so that customers are quick to find exactly what they need. Adding it to the smart search feature will let customers find a product based on size, colour and any are filtering – criteria that may be applicable to the specific product search. It saves time because there is no need to scroll through an entire catalogue, mindlessly. The Walmart online business model acts as the benchmark for retailers when developing their individual ecommerce apps. They exactly know which key features are useful to in order to generate business and streamline searches. 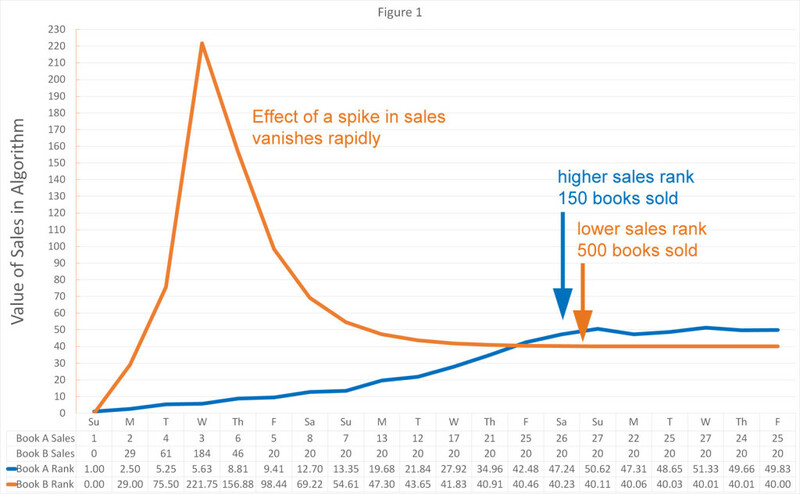 If a customer must spend a lot of time searching for deals at their favourite retailer, they are bound to give up and find the same product elsewhere, if search consumers a lot of their precious time. Simplicity and convenience are essential for a seamless shopping experience. Spending time upfront to integrate an app with inventory and payment methods will play a key role in staying competitive. Whether app development is done in-house or outsourced, look at what the competition is doing right. This will offer a great roadmap to getting the formula right, and ultimately paving the way to success. 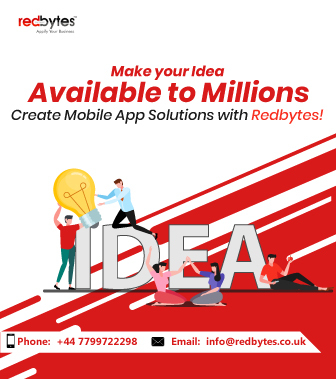 Having a great business idea is often synonymous to planning to create a great mobile application for iOS and Android devices. But the challenge is, you are not certain how to turn that one good instinct in your brain into a market-ready mobile app. Being an entrepreneur, you might not have time enough to bring the idea to life with do-it-yourself technique available from online app building programs. 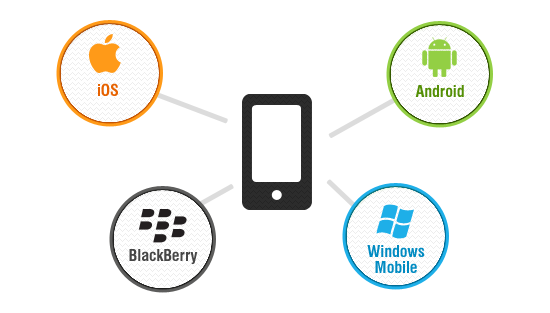 Fortunately, there is a pool of smart mobile app developers who are roaring to partner with you. 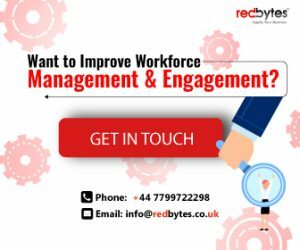 You can simply pick a promising bunch and they will save you a headache of all the strategic planning, methodical approach and technical involvement in the process. 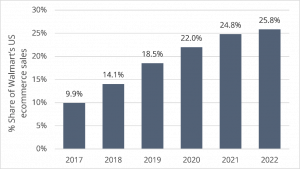 According to reports by Vision Mobile, the UK app developer market are forecast to be more than £31 billion by 2025 and the economy will be worth more than £30 billion by 2030. For new players in the business, described here are 11 easy fundamental steps to create a mobile application. What exactly do you want your app to be like? What would make it appear best to users? How will it simplify and contribute to the life of users? What makes it more competitive than other established players? What are your thoughts on app marketing tactics? Now it’s time to jump from your confidence about the goals to penning down those brilliant ideas about your mobile app. Here words would essentially be translated into vivid visuals that will eventually help substantiate your dream app structure. It may look a little wild and fantastical, but this step will include a set of clever ideas about future decisions such as app monetization or reselling. You can prepare a sketch of whether or not you fancy flashing ads to generate revenue or there will be premium and freemium versions with certain in-app purchases. Foster a clear prospect of what exactly you want to do with your app at this stage. The next is research. As almost every mobile app developer would unanimously agree, there is no alternative to doing thorough research. This relates to both competitors and end users. 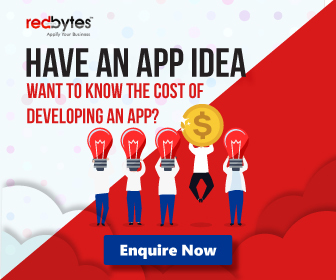 Even your most exemplary app idea will have some competition considering nearly 5 million apps already inundating the app stores. Explore the depth and find out all about your rival apps and their success stories. It will help you understand what it is that makes them popular and what you need to make your app stand out and outshine. Shift your focus to internet to know if there are copyright constraints or heavy technical challenges. This crucial step will tell you whether your idea is worth investing in. Deemed as a skeleton of the app, Wireframe is more organized, palatable and presentable version to the original sketch you have prepared in step 2. It is a sharp storyboard that brings your sketches to life and reflects your clear design ideas along with functional points. The storyboard developed from step 4 will drive you straight to working on functionality of your app and quintessential components such as APIs, hosting servers, data architecture diagram. A few readymade do-it-yourself tools may help you with preparing for the backend system. However, in case you struggle to comprehend their technical gobbledygook, its always a sensible decision to partner with professional server and data hosting services. Its imperative in any case that you create clear and convincing diagrams of backend components regardless of app development methods since they are will direct and guide everyone working on the project. You can revise and adjust your mockup content depending on the change of circumstances and future technical challenges. Engage your friends, colleagues and dear ones in the process and ask them to check the app demo and share their honest opinions. Tell them to be brutally honest and critical as they express their views and critique about the raw app model you have in your hand. They will tell you how they felt as they navigate and interact with basic layout. Collect all of their views and deduce if there is a need to revise and improve existing design layouts or navigation paths. The real goal for this step is to keep users in your central focus, adopt their thinking and come up with a final functional brain structure of the app before the design is prepared. Thus, Step 6 helps keep frustration at bay in the later stage. You have the foundation of the app ready so you can just start erecting the entire building. 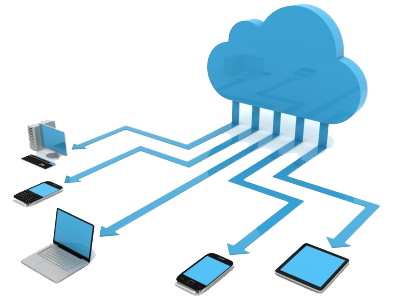 Your team of developers will apply themselves to implementing database, servers and APIs. While you work on the feedback you got from the early testing process and modify the app elements to include the changes, you should also sign up for online app stores. Create an account with Play Store and App Store so that, when the app is completely ready, you can launch it in the market in time. This is done because the process itself takes a few days. Procrastination especially needs to be avoided in case of iOS apps due to their stringent approval process. After the backend system is implanted, it is time to execute the UI creation strategy. Designers should know how important it is to create a flawless, intuitive and responsive user interface because this is what users will see about your mobile application and interact with. They will judge your app based on how easy it is to navigate, select and shuffle between different UI elements. Consider the feedback from the testers and make sure the final product is something users highly expect and love. Skilled graphic designers are best solution when it comes to opting for high-resolution skins or visually aesthetic screens. 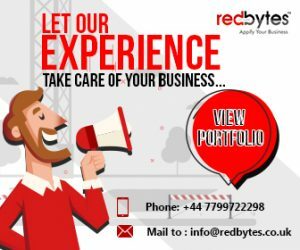 To save the hassle of making confounding choices about editors, templates and layout, it is better to hire a professional app development company with a bunch of seasoned designers. In this round of testing, you will test your app more sincerely since you have a much polished version and interface in place now. At this point, your app must look aesthetically pleasing with uncompromised functioning. Check all the functioning screens of your app for its visual appeal and examine what it feels like to be inside it. A range of UI tests are to run on your app to ensure your app has the look and the feel that meets your expectations. Either you go for online UI testing platforms or assign the entire project down to a mobile app development specialist. They will help you with the final touch, interactions and UX design of your app. You have put your app through various critical funnels to prove you have built a smooth, user-friendly app. But you still need to examine the app’s performance in a live environment. While Android testing is simple, iOS environment has a more controlled approach. For Android app, upload your app file in an android device and test it in a live environment. You can then monitor its progress from your Android device. iOS wants you to use a platform called TestFlight for beta-testing your app. The Beta test platform usage is governed by Apple’s strict directions and instructions. But to your advantage, you can have other testers review your app before actually taking it live. Post fruition, it is the time for climax: sharing the creation with the entire world. Hopefully your app will either solve the problem or change and simplify lives. When it comes to distributing and marketing apps, both iOS and Android are different with Android being a little easier when compared to iOS. You can simply make it live in Google Play store without review concerns. iOS on the contrary reviews your app before making it live and there is no guaranteed time frame for the process. One way to escape this is to publish it in Pre-Apps where people take a maiden look at new upcoming apps and review them. Completing these 11 easy but pivotal steps to create a successful mobile application is a journey you must take as an entrepreneur. Hopefully you will find the suitable app development partner to accompany and guide you on the journey to accomplishment. Virtual Reality technology has changed the way people experience the visuals of entertainment, especially VR Apps. While VR gears like Oculus VR and PlayStation VR and Google Rift are quite entrenched in the VR market, their innovative capabilities are still unaffordable for many consumers. Thanks to smartphones, now you can download some free VR apps for Android devices and enjoy VR-powered 360-degree videos. Unsurprisingly, VR often translate into unique gaming experience seen in 3D environment. VR headsets redefine gaming, movies, TV shows, sports and wildlife documentaries. Therefore, VR is the best way to utilize your leisure time and immerse users in the brand new extraordinary world of virtual reality and rich imagination. Get ready to experience the world of thrill you’ve never dived in before as we present the 12 best free VR apps for Android 2019. Google Cardboard has made many VR lovers a true fanatic with its VR technology. One of the longest running in the VR apps market, Google Cardboard still stays at the top in the list of the best free Android VR apps in 2019. It pushes the envelope for demonstrating the possibilities with VR technology and is quite suitable for people who wish to explore world of Virtual Reality experience with all its astounding features and surprises. The app is completely free and contains ample number of videos and engaging features like Google Maps that enables 360-degree videos for travelling the world. Working for both iOS and Android, Zombie Shooter VR is another name in the world of VR apps and has everything you can expect in zombie-ridden games. Earlier, it used to be a paid app, but later the development team made it open for all in order to sustain VR market competition. It excites you by the prospects of killing zombies using touch lessgear-free control. The well-accomplished app has comfortable controls where players can just look at zombies to trigger the shooting with weapon. If you enjoy posing as a sniper and killing enemies with sniper shoot, VR Sniper is the exemplary app for Android. Like certain game VR apps, here the shooting actions are controlled and triggered by head movements. The gameplay is easy to learn and simple yet it needs good practice to master the skill. The gamers must kill 10 enemy soldiers that they can see via VR gear. Available for free on iTunes and Google Play Store, VR Sniper also comes with in-app purchases if you wish to unlock more exciting features and levels. Google Earth has thrived as one of the tempting entertainment sources that let you explore the planet from every corner possible. The journey you embark on via Google Earth is both enlightening and delightful if you are an avid geography lover. It also allows you to tap into its menu to fulfill your ultimate wish to visit popular global landmarks and landscapes such Golden Bridge, Pyramids or Sphinx, or the Wall of China. Many of landscapes appear a little clear to your eyes in Google Earth VR as you have power to zoom into far distance in no time and witness the gargantuan monuments. If you have used Google Earth before, VR could take your experience a notch up though not with all the details. The free app Within delivers a comprehensive platform for VR lovers to enjoy content from across the world. It includes marvelous 360-degree videos like a 13-minute video from the famous TV show Mr. Robot. Within immerses users with both entertainment and education, encompassing the news contents like the NYT, Vice media, Apple, NBC plus contents from musicals and movie studios. Its original video series The Possible touches on technologies like hover crafts and robot dogs the lens of your VR headset. To appeal to wide base of viewers, Within’s existing library is going to get richer over time, making the experience uncompromised. Education doesn’t need to be a serious process and Expeditions VR app understands it better. Available for free in Google Play Store, Expeditions is a fun app for people of all age groups who want to be at the world’s popular destinations and places with the purpose of learning and distractions. The app contains nearly 200 expeditions and its developers are still adding more places. The app is highly compatible with Cardboard and VR gear but even its 360-degree mode offers enjoyable experience. Google Arts and Culture focuses hugely on museums, historical and heritage landmarks, which makes it similar to Expeditions. The app functions compatibly with Google Cardboard and allows you to explore hundreds of places you wish to see in VR display. Even though Google Arts and Culture has not yet grabbed as much users as other apps released by Google, it is still crowned as one of the best VR apps at the moment. The app also keeps you updated with real-time information about different locations. Netflix has now become the household name in the world of streaming entertainment and is quite popular among young millennials. Netflix VR is the official app for watching fresh movies and TV shows. It brings home the experience of virtual environment for binging on their favorite movies and TV shows. One of the great VR apps, Netflix VR has a benefit of moving its existing potential customers to its VR app. Still, it can’t be denied that the app needs some improvements. At the moment, offline viewing is unavailable in Netflix VR unlike original Netflix app. Moreover, the app is limited to Daydream Android devices only. Discovery VR proudly stays alive and appears scintillating on any list that focuses on free Android VR apps. Quite predominantly favorite among VR addicts, Discovery VR is the official app started by Discovery channel and can be accessed on both iOS and Android devices running on the latest software versions. Though viewers can’t access all of Discovery’s original content on this app, it still showcases a lot many enjoyable VR visuals. Users can relish its diverse videos in unique environments that make users feel like exploring uncharted places in the world. Discovery VR is still in its early phase and will hopefully receive new updates and features in upcoming versions. Deserving comparison with Discovery VR, GoPro VR offers quite rich and diverse video content. The reason why users can expect exceptional quality in GoProlies in the fact that all the videos hosted by GoPro VR app are created using GoPro cameras. This free VR app is especially perfect for viewers who gravitate to watching adventurous videos via VR gear or Cardboard for extra thrill and fun. What is even more stunning about GoPro is that some videos can be viewed at 60 frames per second. Available for free on Google Play store and iTunes, GoPro VR is still available only in a few countries. YouTube is incomparable when it comes to offering a wide array of video content, especially 360-degree videos. YouTube VR is also a free app available in Google Play Store. For users to start indulging in VR-supporting videos on YouTube, they have two choices: either get a cost-efficient Google cardboard or purchase an expensive Samsung Gear VR. YouTube also facilitates total hands-free experience by enabling users to search for videos using their own voice. FullDive VR is the most generous content resource with multi-source All-in-one VR platform where users can not only browse rich content but also share it with friends and comment on them. This is the best resort for those who seek wealth of VR content and “trending” videos as it has over 1 million videos to explore. FullDive VR also allows users to view videos saved on their device to recreate a theatre-like experience. All the 13 free Android VR apps mentioned here could be your best pick for your VR-based entertainment in 2019. Each app brings home a whole new set of features and viewing environment. They all offer diverse content you will never have enough of. But it is right to say that creators are still scratching the surface when it comes to developing unparalleled ways to educate and entertain smartphone users with VR apps. 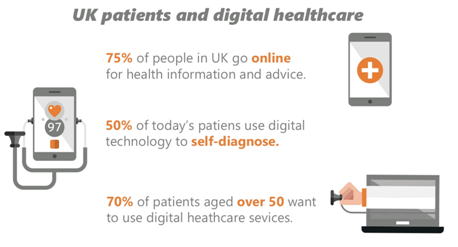 In future, we are likely to witness even more groundbreaking innovations.